There are hundreds of new VPN’s on the market and many emerging daily. With many providers, lies, deception, and clever marketing schemes take place all over the VPN industry. How can you know what suites your personal needs or a safe provider? The VPN market has far to many providers, some that lie, and some that are complete scams. The table below decedents from the personal best VPN’s, #1 being the best. We recommend you read our reviews on the services. Below the following features will be accounted for: Security, Privacy, Speed, Price, Logging, Policies, is bittorrent allowed, and encryption algorithms. Private Internet Access is a top of the line VPN provider. While allowing users to choose their encryption levels, their OpenVPN client supports Windows, Mac OS X and Android and can all utilize top of the line encryption on the go or at home. Private Internet Access also offers support for Linux, mobile devices, routers, and any device imaginable. Private Internet Access also allows FIVE simultaneous connections at one time, meaning you can share the plan with friends and family, or use it across multiple devices at once. Private Internet Access is recommended across the site for it’s great price point, security, device compatibility, and non-logging services. Supports multitude of devices while offering custom clients for Windows, Mac OS X and Android. VyprVPN offers a large VPN service with a bit of a twist. VyprVPN operates their own datacenters, servers, and network. Meaning, VyprVPN works right where the servers are housed. This means the VPN provider operates their own datacenter, has access to the hardware, and can fully oversee everything operating physically. Why is this different? VyprVPN is one, if not the only VPN provider who operates their own data center. This offers extra security as they operate the servers, choose their own logging policies, and oversee all the hardware. In turn, government agencies cannot just walk in and implant logging devices on the servers without the company overseeing it, as a traditional VPN service would have no idea as they do not physically operate the hardware. AirVPN is an Italian based VPN provider who has been providing reliable secure connections since 2008. With AirVPN’s long past and team, AirVPN has created a name for itself. Also due to the fact of their one of a kind configuration generator, it makes everything one click and simple. Everything from Windows, to Linux, to mobile phones to routers, to servers and extreme technical specs. Whichever way you look at it, AirVPN’s one of a kind generator intensifies the aspect of transparency, while still making it a one click connection. LiquidVPN offers a top of the line secure VPN. With LiquidVPN’s non-NIST protocols, security is the top priority. Non-NIST algorithms means the encryption algorithms LiquidVPN uses are not government issued. This enhances security as the government has not intervened inside the protocol and implemented a backdoor as most would assume. Along with non-NIST algorithms, LiquidVPN also offers IP modulation, secure firewalls, dedicated IP’s, and many other great features. CyberGhost is a bit of an older Romanian based VPN provider. Aside from VyprVPN, CyberGhost has a very large VPN network. CyberGhost does in fact have the second largest country location amount. With over 23 countries to connect to and 280+ servers, CyberGhost has a very large network. CyberGhost is one of the only providers who offers a fully secure free VPN. With a number of restrictions on the free service, it is still very usable. The premium service is fully unrestricted with access to many great additional features. CryptoStorm is the open source “battle tested” VPN. With a bit of a large statement, CryptoStorm has the backend proof for it. CryptoStorm the spawn off of CryptoCloud (now offline), has the proof. With most of the original CryptoCloud team working at CryptoStorm, the provider can be trusted. CryptoStorm is the only open source reliable VPN we know. With their open source client, and very transparent terms, CryptoStorm is a real secure cut to the chase provider. The CryptoStorm team has been a part of many security based companies along with providing CryptoCloud for years. CryptoCloud was one of the very first non logging VPN providers to come to market in 2007. With a long history and an undeniable amount of trust, CryptoStorm is great. CryptoStorm is not only being listed here for the great past, no. CryptoStorm has built a new structurally anonymous network. 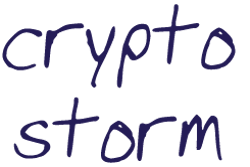 CryptoStorm has implemented token based authentication. No more do you have logins and passwords to connect. Once you pay, a token is sent to your email. The token gives away no personally identifying information, and holds no value in terms of data. It doesn’t hold your payment data, email, or username. The token is mixed with thousands of other active tokens on the network. CryptoStorm has built a new truly anonymous network. Battle tested open source network. Questions other provider implementations to much. While it is good to see, sometimes it seems they focus on others security implementations more than their own.